Last month, Amsterdam Dance Event (ADE) returned, providing an abundance of exciting conferences and events for attendees from all around the globe. This year, 400,000 people were in attendance from over 100 countries, making this year undoubtedly ADE’s best one yet. 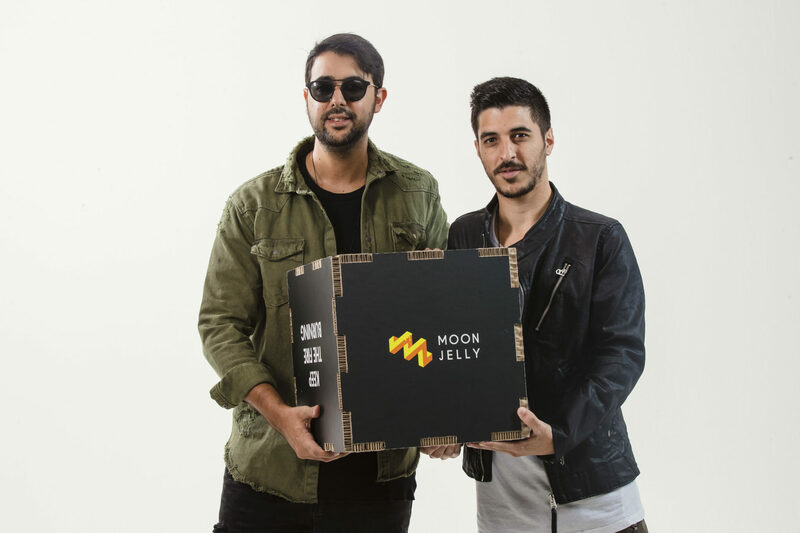 At this year’s conference, we officially launched Moon Jelly, inviting our members to come and meet us at our launch party in central Amsterdam to find out more. Amsterdam Dance Event takes place every October and plays host to artists, fans and industry professionals alike. While each segment attends the conference with a different motive, the resulting event is a celebration of electronic music that encompasses a range of activities to suit every need. Whether attending to make industry connections, gain knowledge or simply to party, ADE has remained a constant over the years by offering something for everyone, which is undoubtedly one of the reasons that the conference has been such a central aspect of the industry. Drawing attendance from all over the world, the conference is renowned for its unique offering that cannot be found elsewhere. In fact, many industry leaders will block out their schedule during ADE to ensure that they are a part of the yearly gathering. 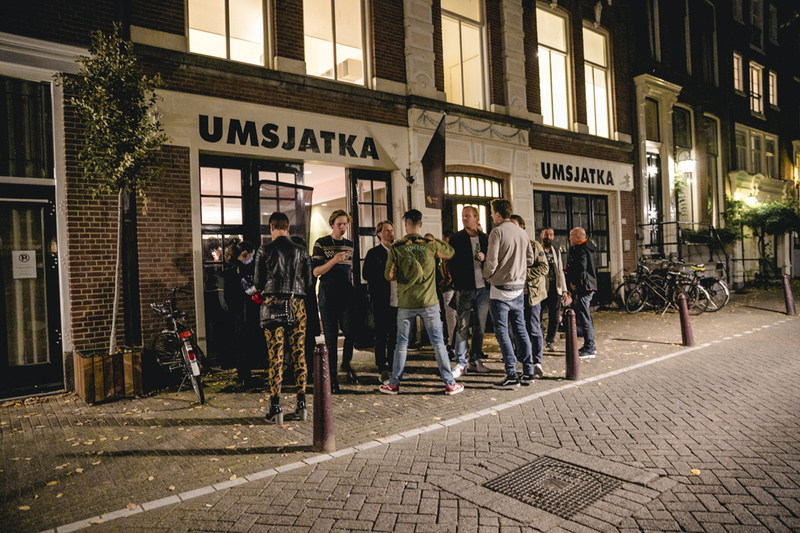 On the first day of ADE, Wednesday 17th October at Umsjatka Studios Amsterdam we invited Moon Jelly members to join us for food and drinks to celebrate our official launch and discuss the platform. We met plenty of promising artists looking to further their branding and generate the exposure they deserve in the industry, and we thoroughly enjoyed connecting with so many passionate individuals with such bright futures ahead. On Thursday 18th and Friday 19th October we hosted our free artist press shoots. During the run-up to ADE, artists were invited to sign up for a free press shoot through our website and spots filled incredibly quickly. We were joined by a number of independent artists as well as a few labels. These included NoCopyrightSounds and HEXAGON. We were also joined by almost all of the HEXAGON artists who took a huge group photo together wearing matching merchandise. Taking the photographs was Ali Mousavi who has previously photographed Drake and Armin van Buuren as well as many more iconic figures in the music industry. An opportunity to be photographed by such a high-profile photographer is rare, so we were delighted to offer artists the chance to receive some top quality press shots to accompany their biographies. Press shots are vital for artists at any stage in their career, without them it is difficult to truly establish a respected brand. Having a great assortment of press shots is also an integral aspect of securing coverage by media outlets. By having great press shots, you ensure that your press releases will have a much more professional look and give people the right first impression. Too many artists underestimate the value that press images can provide for your career. That being said, in order to make the right impression the press shots must be of a high quality. As well as requiring the images to be of an incredibly high resolution in order to feature them on websites, media are looking for professional shots that have clearly been taken by a real photographer. Simply put, a selfie is not going to cut it. During ADE we also interviewed a number of influential members of the electronic music industry from some of the biggest brands including Sam Feldt, Denis Doeland and Leonardo Da Silva. We spoke with Sam Feldt about his Fangage platform that is providing valuable services to artists looking to connect with their fanbase more effectively. He talked us through what Fangage can offer artists as well as some of the features he is most proud of, and his reasoning behind building the platform. By understanding Sam Feldt’s vision behind Fangage, artists can learn a great deal about why they should focus on interacting with their fans more frequenctly. Platforms like Fangage can play a great role in advancing your career, and being aware of the capabilities offered by platforms is vital. We also caught up with Ali Mousavi/Shots Fired who captured the photos during our press shoots. We spoke about the importance of press photos and the ingredients required for the perfect press image. Having photographed some of the most iconic artists in the music industry, he provided a great deal of expertise on how to make sure your press images are representing your brand as effectively as possible. We also hit the streets of Amsterdam to interview people attending the conference for business, asking for their thoughts on ADE and why they decided to attend. Many of them attended from overseas and spoke about the reasons why ADE is a highlight on their calendar. What came across throughout all of the interviews was the invaluable networking opportunities that ADE provides for artists and industry professionals alike. 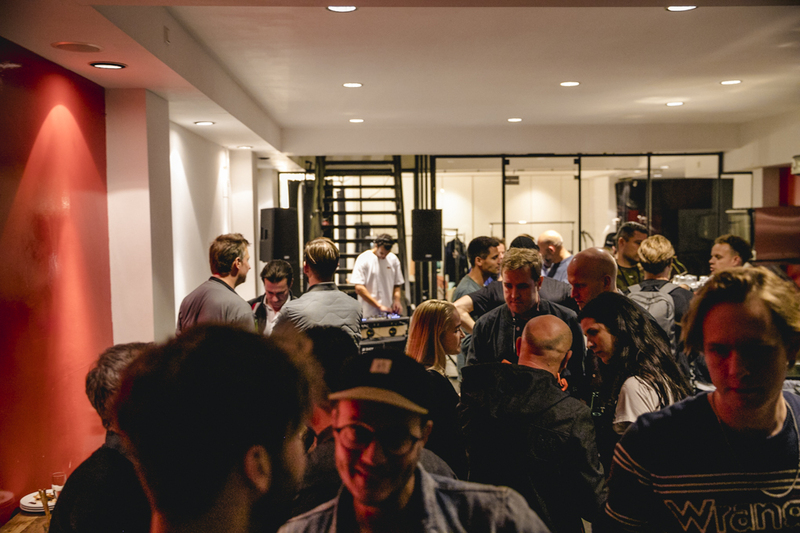 While everyone attends ADE with different aims, many are spurred on by the same enthusiasm for the electronic music industry. The inspiration and excitement during the conference is almost tangible and provides attendees with an even better experience. Amsterdam has always been one of the main hubs of the electronic music industry, and ADE makes this even more clear. This year’s conference included panels from industry leaders including David Guetta, Don Diablo, Paul van Dyk and more, as well as huge events. AMF took the spotlight during the latter end of the week when the world’s number one DJ was officially announced. During the rest of the week, a number of exciting label showcases and unique events took place, drawing attendance from fans around the globe. Another highlight of this year’s festivities was when Martin Garrix sold out two consecutive shows at the RAI, delighting fans with his unmatchable visual show. At AMF, Martin Garrix was crowned as the world’s number one DJ for the third year a row, proving that he continues to dominate the industry. To celebrate, he performed a short set before David Guetta and Dimitri Vegas & Like Mike took to the stage. During the festival, the results were displayed by DJ Mag on screens, and there were a few shocks in the ranking this year. In the top five, Hardwell and Armin van Buuren swapped places, while David Guetta knocked Tiësto out of the top five altogether. Don Diablo and Oliver Heldens each jumped up four places, proving that future house continues to be a powerful force in the industry. Avicii jumped up 13 places following a huge campaign by fans to get him a higher position as a mark of commemoration. Looking at the standings is important as it can be a good indication as to which artists put together the best campaigns this year. By analysing who climbed and who fell it is possible to ascertain whose campaigns worked and whose didn’t. Then, you can look at the campaigns of those who did well and be inspired by their content. One of the best ways to improve your own brand is to be inspired by others. Often, competitor research can provide the greatest ideas for your future campaigns. Now that ADE is over, it is time to start planning for 2019 and putting together a schedule for your campaigns. If you were unable to join us in Amsterdam for a free press shoot, make arrangements for your own shoot so that you can represent yourself well in the media. Over the coming weeks, we’ll be focussing on how to prepare effectively for 2019 and how to get your content in order. By planning your 2019 schedule ahead of time, you ensure that you will be as prepared as possible and will be able to deliver the best content you can. The most effective campaigns are planned well ahead of schedule to allow the artist to be fully prepared with their content. The most important thing is to use the knowledge and experience gained at ADE to benefit your career. Don’t let the experience go to waste, make notes if you feel that some of your new knowledge may be forgotten. Many artists talk about feeling more inspired than usual at ADE, it is important to harness that enthusiasm and inspiration and relive it every day in order to generate even better content. If you can get yourself into the correct mind set, you’ll find that creating great content is even easier and feels much more natural. Here at Moon Jelly, this ADE was especially exciting. We were thrilled to be able to share our platform with the world and meet lots of incredible artists looking to work with us. Thank you to all those who joined us this year at our launch and press shoots, we’re looking forward to returning to ADE next year!